DUSHANBE -- The US government is assisting Tajikistan in investigating the recent attack on American and European cyclists claimed by the "Islamic State" (IS). A car targeted down a group of seven foreign cyclists Sunday (July 29) in Danghara District, about 100km from Dushanbe. A gang armed with knives and guns then came out of the car and assaulted the riders, killing two US nationals, a Swiss national and a Dutch national and wounding two others. One cyclist escaped harm. IS claimed responsibility for the slayings on Monday (July 30) and bolstered its claim with a video released Tuesday (July 31) showing what it said was a pledge of allegiance by five men accused of the attack. The video shows the five men, who resemble pictures of the suspects put out by Tajik police, sitting by a tree in front of an IS flag and swearing allegiance to IS leader Abu Bakr al-Baghdadi. Heather Nauert, a spokesperson for the US Department of State, said Tuesday (July 31) that US authorities had seen the claims by IS but "we cannot confirm who was responsible at this time". She added that the US government is providing assistance to the government of Tajikistan "as they spearhead this investigation". 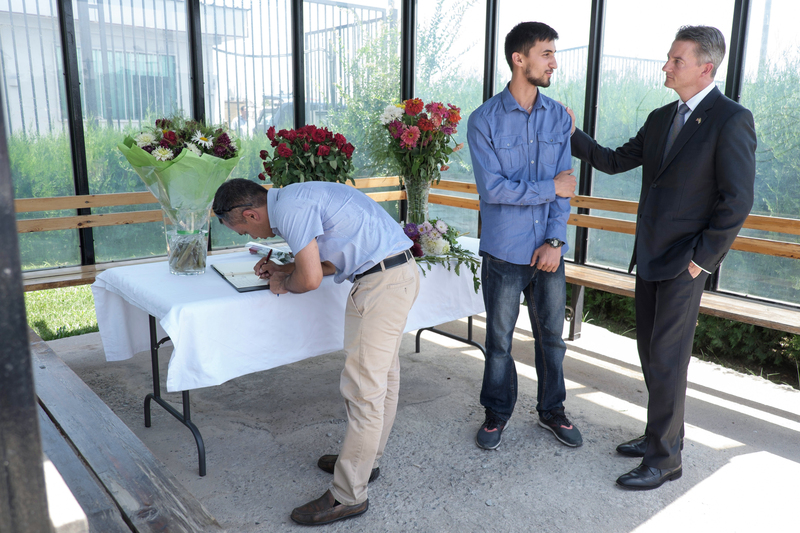 Following a brutal attack on a group of tourists claimed by IS, regional and international allies stand ready to help Tajikistan fight the extremist threat.